Craft shops, antiques and cafe on site. 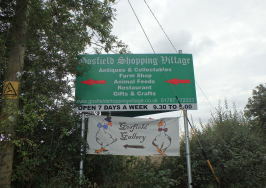 Close to Halstead and Freeport Outlet Village. A131 from Braintree turn Left at traffic lights onto A1017 turn Right in approx 1m into Petersfield Lane Site on Right in 250Yds.